The CS530 is an outstanding wireless headset from Plantronics, offering a dependable range for up to 120m (394 ft) coverage. The stylish and lightweight over-the-ear design is both discreet and comfortable; allowing users to make full use of the generous battery life for up to 6 hours continuous talk-time. Equipped with advanced wideband audio and intuitive noise cancelling microphone, the Plantronics CS530 enhances the clarity of calls; aided by DSP for more a more natural sound, and Digital SoundGuard to proect users’ hearing from sudden spikes in volume. The wireless headset comes with its very own charging dock, and is hookswitch and handset lifter (sold separately) compatible for remote answering. 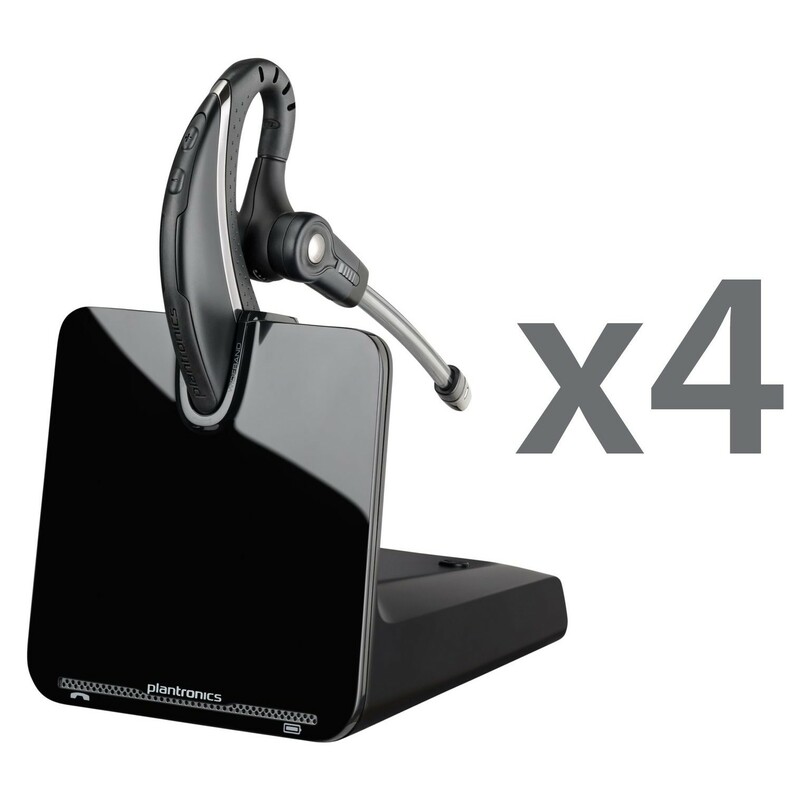 If you’re looking for a sophisticated over-the-ear wireless headset that offers dependable range, exceptional sound quality, and comfort then look no further – This set of fourPlantronics CS530 headsets fits the bill.